Published on April 28, 2016 in Bernera School News, Clas Gaidhlig, English Medium Class and Health & Wellbeing. 0 Comments Tags: Bernera School News, Clas Gaidhlig, School Meals, School Transport. 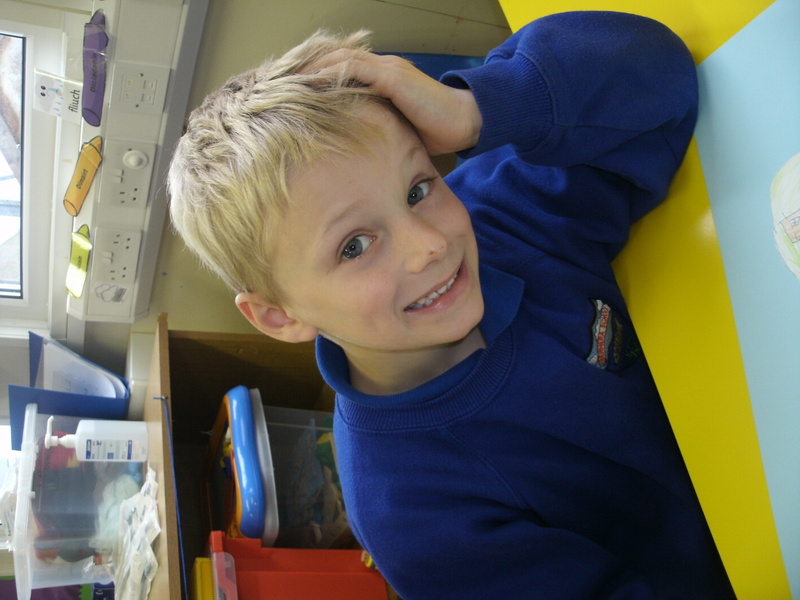 Here we are again in a new term! Last term, we had the Lewis Mod, which went well and the children performed in various competitions, including the playlet, which went well and was exceedingly funny! Sarah won her Literary competition, so well done to her! We are back after to Easter holidays, starting the “summer” term; although right now we have “Sneachd na h-uain bheaga” which is typical for us here. The April showers in Lewis seem to be more often or not, “the snow of the wee lambs”! Firstly, as it is term 4, we have started swimming again on Thursday afternoons. This means travelling to Stornoway by mini bus and then back again, just in time to go home on the school buses. Because of this, we have both an early break time in the morning and an early lunch to enable us to leave the school at 1 o’ clock. Despite these minor disruptions to the school day, the children seem to be enjoying their lessons, and there are one or two sleepy children on the way home! Secondly, even though we are just back to school, we have the May holiday weekend coming up, so we will be off on Friday 29th April AND Monday 2nd May. We hope you enjoy the long weekend, and that the weather warms up for May, which has been until recently, always thought of as one of the loveliest months in the Western Isles, but remember the old Scotttish saying “ne’er cast a clout, ’til May is oot”. In other words, don’t take your coat off until after May! Incidentally, as a bit of long forgotten folklore, it is thought the “May” in the said saying isn’t the actual month, but refers to the shrub hawthorn, which is also known as “May Thorn” and when it flowers! Published on January 28, 2015 in Bernera School News, Clas Gaidhlig, Curriculum for Excellence, Curriculum News, English Medium Class, Health & Wellbeing, Oudoor Learning and Science. 0 Comments Tags: Science. 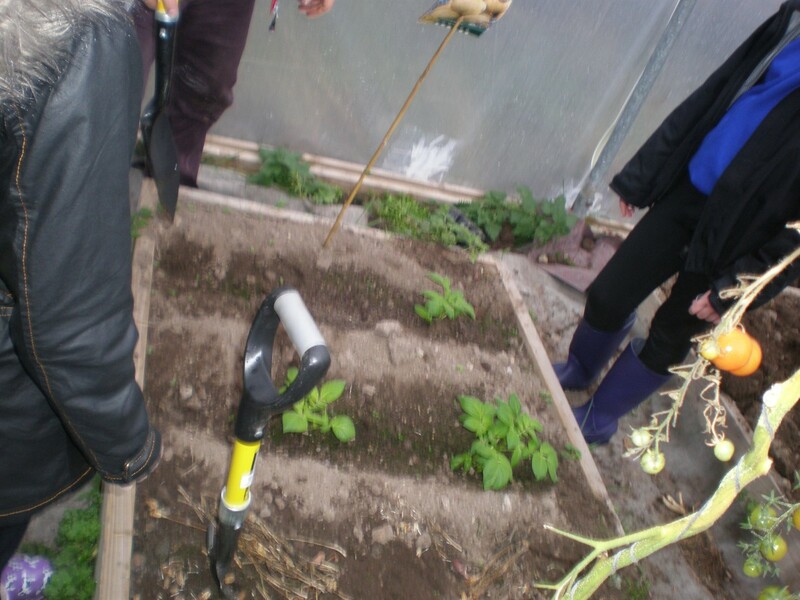 The children have been visiting to local polytunnels this session, learning about growing vetetables and planting various things of their own. There was a slight hiatus in proceedings, however, when the first polytunnel was destroyed in the January gale. Undeterred, they have been back for a visit to the greenhouse and will be planting up some seeds in the school. As a project it is valuable on many levels. Scientifically, the biological aspects of growth, chemical compositions and so forth; and of course from the health and wellbeing aspect it ties in to see food being produced. As a part of learning in the community, working with members of the community and getting out and about fits in perfectly with the concepts of oudoor learning that is seen to be so valuable. All in all, this is a very good example of true cross curricular learning. On the 22nd January Bernera School went to Tesco’s! A important part of Curriculum for Excellence is Health & Wellbeing, and the “Farm to Fork” project investigates where our food comes from, how it is proccessed, displayed and sold in the supermarket and from there to our forks! The children and staff travelled to Stornoway in Dodo’s minibus and arrived at Tesco to meet another “Big” Sarah, who showed us to the changing area and staffroom in order to hand out clipboards, talk about what we would see and most importantly, hand out very official looking tabards and paper hats to show we meant business! First on the agenda was a look at the fruit and vegetable department, identifying various items, checking them on our boards; then on to the fish counter, identifying different fish and handling a herring (with gloves, thankfully). Next, the bakery department, where after a thorough handwashing and hat checking, we got to sugar doughnuts and ice some Danish pastries! We got some to take home too. After a visit to the warehouse, the freezers and the delivery van, we returned to the canteen for a super snack of all sorts of different fruits, including mango and pomegranate, french bread, Scotch eggs and juice. Time to head home. Thanks Tesco for an interesting, informative not to mention tasty, morning out! After a busy winter term with a multitude of activities, staffing changes ands some very adverse weather; we are here in January 2015! We have had a couple of closed days due to the weather, but all in all, we are now back “into the swing” of the new term and the new year. The children have started the Dance Project mentioned in the School newsletter ” FIOS NA SGOILE” and seem to be enjoying it! 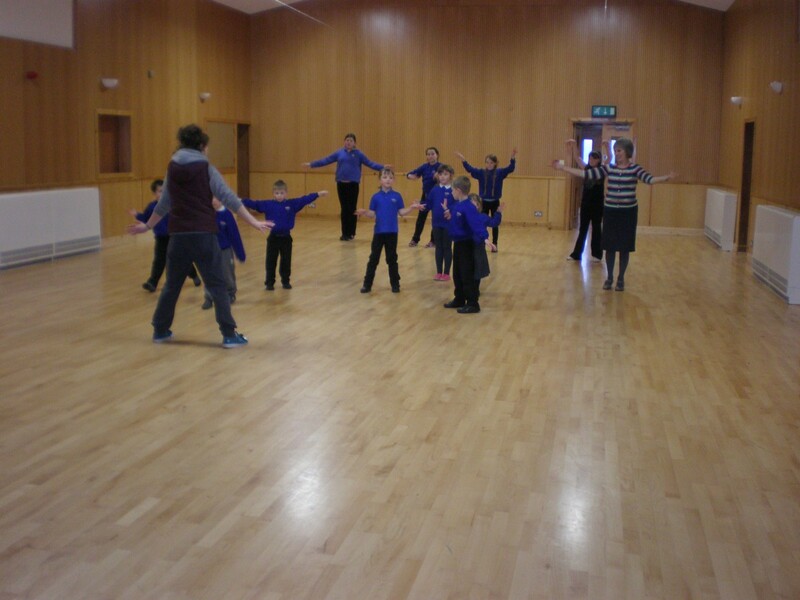 Julia Mcghee from An Lanntair, who is running the dance project, is taking the children in the Community Centre and working with them on movement on the theme of the sea. They will be taking part in this for 5 weeks. Published on September 19, 2013 in Clas Gaidhlig. 0 Comments Tags: Clas Gaidhlig. Seo an Clas Gaidhlig. Tha Christopher ann Clas 1 agus tha Sarah ann clas 2. Published on September 19, 2013 in Bernera School Classes, Clas Gaidhlig and Sgoil Àraich. 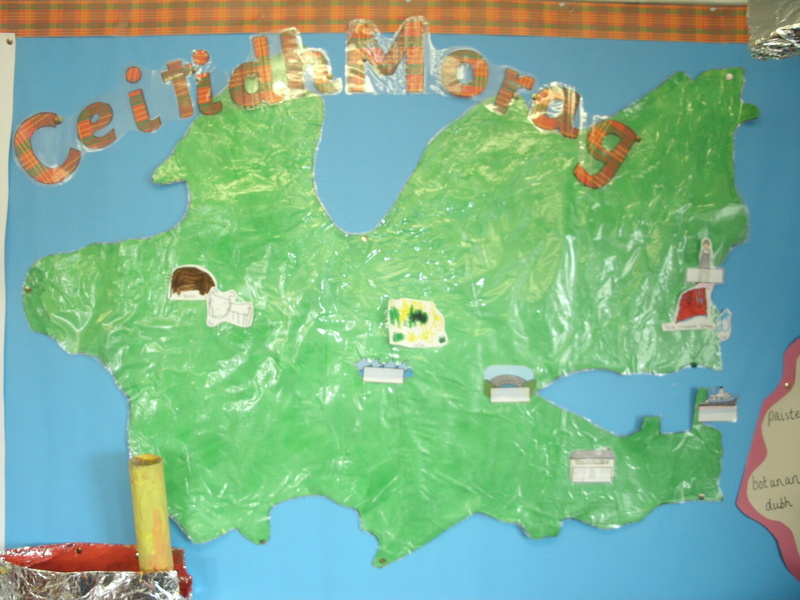 0 Comments Tags: Ceitidh Morag, Clas Gaidhlig, Mapping, Sgoil Àraich, Social Studies. Tha Ceitidh Morag a’ fuireach air Eilean Sruthaigh. Bha sinn ag ionnsachadh mu dheidhinn mapaichean. Seo am map againne. Katie Morag lives on the Isle of Struay. 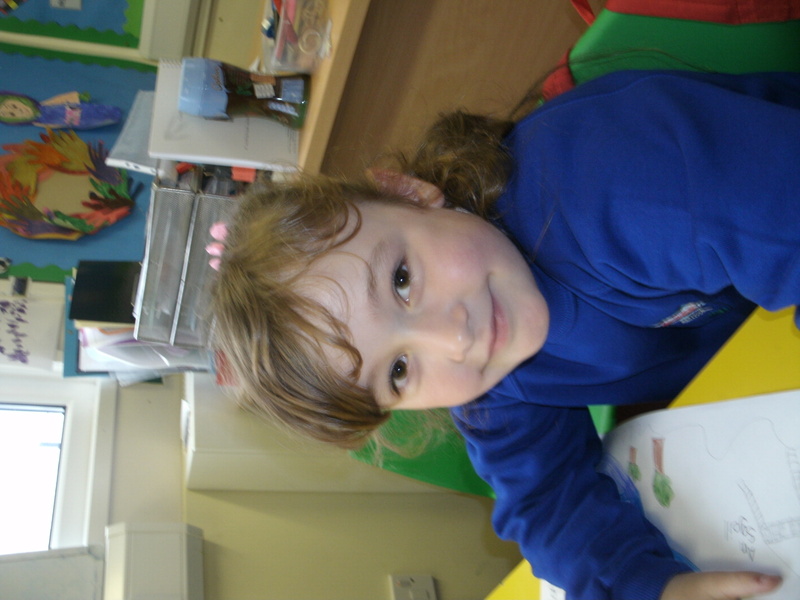 We have been learning about maps. Here is our map of Struay. Tha sinn ag ionnsachadh mu dheidhinn Ceitidh Morag. Tha Ceitidh Morag a’ fuireach air Eilean Sruthaigh. ‘S e nighean beag ruadh a th’innte. Seo an collage againne. We are learning all about Katie Morag. She is a little girl who lives on the Isle of Struay. This is a collage we made of her. 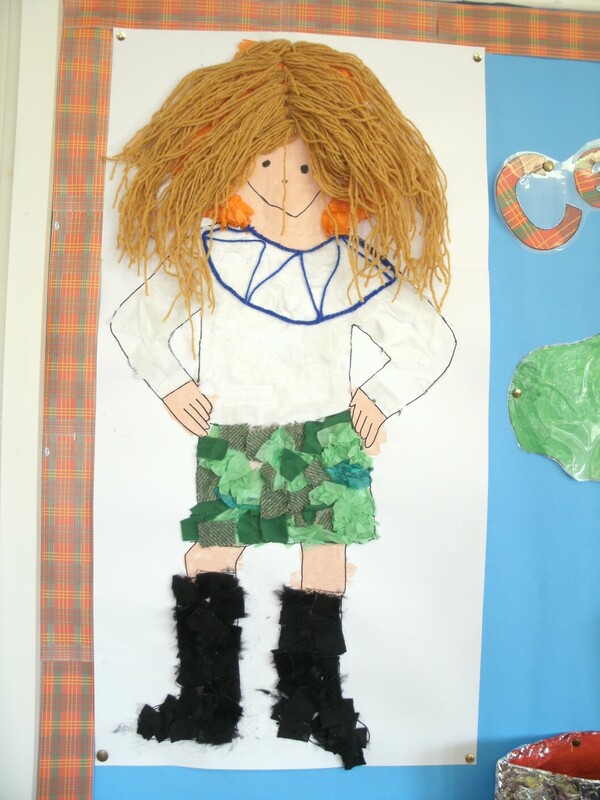 We used a mixture of fabrics and paint to create this picture. It is almost as tall as Roseanne!